The Iso Rivolta, appeared at the 1962 Torino Auto Show, and the 2+2 coupe was a dramatic departure from the two-stroke scooters, micro-cars, and refrigerators that had defined Renzo Rivolta’s Iso products to that point. The attractive GT body had been styled by Bertone, with a long beltline and a tall greenhouse providing excellent visibility. Interiors had room for four adults and included supple leather seating, an elegant wood dash and steering wheel, and chrome-trimmed gauges that provided feedback on just about everything going on in the engine bay. Noted engineer Giotto Bizzarrini designed the chassis, one of the most advanced of the era. A box-section type comprised of pressed steel welded panels, safety and rigidity were paramount, and strength to weight was exceptional. An advanced suspension with unequal-length arms and coil springs up front and a DeDion setup with springs in back provided sure-footedness, and four-wheel disc brakes lent adequate stopping power. All of which were absolutely necessary, as the Rivolta came powered by either a 300- or 340-horsepower, 4-barrel 327-ci V8 sourced from the Chevrolet Corvette. A 4-speed manual was standard, though an optional 5-speed manual and 3-speed automatic could be equipped. The 3,000-lb Rivolta was good for about 140 mph. Production commenced in 1963. At around $9,000, the Rivolta was not cheap. Still, the company sold 171 cars that year, which was to be the biggest sales year for the car. By the time production ceased in 1970, just seven cars sold. Total production is under 800. The beauty of the Iso Rivolta is how well it works. Whereas many beautiful Italian exotics of the 1960s can be expensively hampered by the complexity of their mechanical bits, replacements parts for the Rivolta powertrain are as close as the local NAPA store. Though body and chassis extras are much harder to come by, just about any competent mechanic can keep them running. And run they do. Rivoltas were built to cruise the Italian Autostrade and American interstates at high speeds, and they are comfortable doing so all day. They will easily give contemporary GTs a run for the money, not only in a straight line, but also when the going gets twisty. 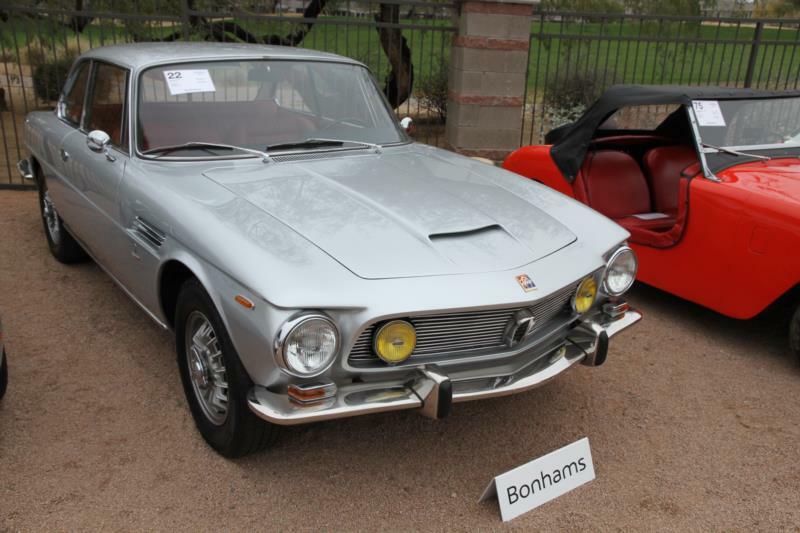 Today, the Iso Rivolta remains an intelligent choice for collectors looking for a reliable exotic that is event-eligible, easy to service, and fun to drive.